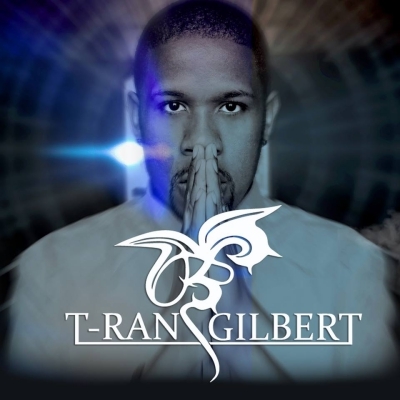 NASHVILLE, Tenn. - Dec. 16, 2014 - PRLog -- International Recording Artist T-Ran Gilbert has been tapped to headline the first event of the IndieCares Concert Series: Benefiting Nashville Inner City Ministry (NICM). The concert is scheduled for 6:00pm December 23, 2014, at Seen, 114 Second Avenue South in downtown Nashville. The event is family friendly and alcohol-free. A list of additional performers will be announced soon. 22Visionz Recording Label is a major sponsor of the event. T-Ran Gilbert is currently headlining his annual "L.A.N.D. (Live And Not Die) Tour," promoting his Live And Not Die EP, and recording his follow-up release, “The Imprint.” His debut video, “Need You Now,” took the country by storm when it reached over 1.3 million views and was added national rotation on the MTV circuit and thousands of other outlets, a real feat for an indie release. In tune with current events, Gilbert has teamed up with Mahatma Gandhi’s grandson, and taken his positive life-affirming message to the streets for a “Season of Non-Violence Tour.” T-Ran Gilbert’s positive message and music is penetrating lives around the globe--and he has only just begun! IndieCares is a nonprofit concert promotions company that produces benefit concerts for deserving charities is the brainchild of Jamese Cox (p/k/a JCox), CEO of Unique Quality Marketing and Everything Music Entertainment. She is overjoyed that the first benefit concert from IndieCares will be supporting NICM. Nashville Inner City Ministry was founded in 1979 to help young people living in the public housing projects of Nashville’s inner city. The organization buses as many as 1,200 inner city children & teens to developmental classes and life skill training programs that are held in locations throughout Nashville and the surrounding communities. They provide food and necessities to more than 320 children in the community on a regular basis, plus field trips, outings and special events throughout the year. The benefit concert is free, but donations are being encouraged.